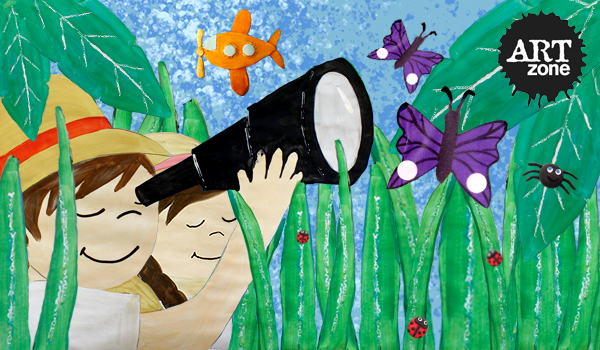 Join Artzone this summer for two brand new themed, creative and challenging portfolios of art, crafts, stories & games. Each portfolio is researched and designed based on the Primary Schools Visual Arts Curriculum to maximise creativity, learning & fun for each age group. 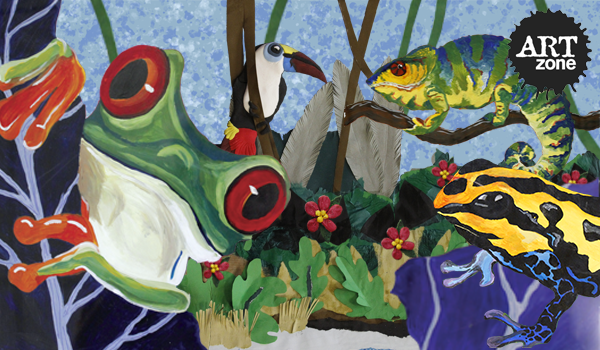 Cool & Creative portfolio of Art, Crafts, Stories and Games based on our Jungle Explorer theme including Painting, Drawing, Collage & Clay Construction. Or click the links for individual Art Camp venues: Castleknock, Clontarf, Dundrum, Glasnevin, Glenageary, Greystones, Leixlip, Lucan, Malahide, Naas, Newbridge, Rathfarnham & Rathgar. Seniors engage in a more in-depth exploration of various art techniques, taking more responsibility for designing their own art work. Camps are still fun, with more freedom and focus on individual flair, design and creativity with breaks for games and time to chill and chat. Topical & Challenging portfolio of Art & Cafts based on our “Jungle Explorer” theme including Clay Construction, Painting, Illustration & Character Modelling. Or Click links for Art Camp venues: Castleknock, Clontarf, Dundrum, Glasnevin, Glenageary, Greystones, Leixlip, Lucan, Malahide, Naas, Newbridge, Rathfarnham & Rathgar. Click here for Summer Academy Camps (Ages 10+).